, and then… you commit a sin! Once you do it, you feel like your entire life has collapsed. You start despising yourself, you think you are hypocritical, you think Allah will not accept you or take you seriously again. If this is what you’re thinking, then Please Stop This Line of Thinking NOW! NEVER think that you are hopeless or that you’ve lost the battle. Never. So long as you’re breathing, you can completely change the situation, reclaim your life, control the sin and not allow it to control you. Now, there are a few points to remember here. 1. One of the major obstacles to one’s spiritual productivity is falling into sin. We do not have to indulge in sins and live in darkness. This is a major deprivation and injustice against one’s own self. One of Allah’s Names is An-Nur (The Light); how can we see The Light or appreciate The Light if we’re drowning in so much darkness…? 5. Yes, we sin, but sin is not our identity. Rather, struggling against sin could truly refine our character, faith, perseverance and commitment to Allah. That’s why it’s essential in this journey. If we haven’t experienced sin, how then will we know the value of the pure, righteous life prescribed to us through revelation and its impact on our heart, mind, soul and body? If we don’t have a choice to err, how then will we prove our love and commitment to Allah? If we’re programmed to only love and obey Him, then there is no challenge. But it is in choosing Him over anything else in His creation and committing to His path against all struggles and temptations that we truly prove our faith and sincerity. And so, Allah wants us to come back to Him and never give up. 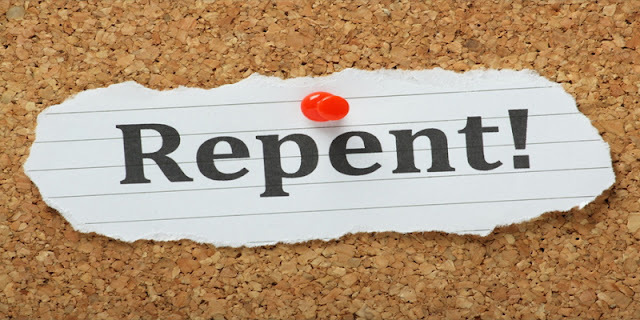 “[…] Indeed, Allah loves those who are constantly repentant and loves those who purify themselves.” [Qur’an: Chapter 2, Verse 222]. So, if you’re in a position of making tawbah, then you are in a position of receiving the love of Allah. Do you see why Shaitan wants you to feel hopeless and prevent you from seeking forgiveness and tawbah? Because his ultimate goal is to divert you from the path of Allah and tawbah not only puts you back on track, but it also earns you the love of Allah Almighty The Most Merciful, Most Loving, Most Affectionate. So, tawbah all the way! These are the action points that you need to do immediately IMMEDIATELY– if you’ve fallen into sin. Regret is essential in showing sincerity. If you truly regret a wrongdoing, then you understand why Allah told us that it is harmful and that you desire to truly purify yourself from it and seek the halal and pure means that He prescribed instead. Stop immediately. Do not persist or insist on committing the sin or indulging in it further. Just stop. Make a conscious, serious decision and effort to stop and quit this wrongdoing right away. This is a heartfelt decision that you make to truly quit and not go back. Even if you’ve fallen into the same sin an hour later, so long as you were sincere in giving it up, then it is accepted. Every time you fall, keep making sincere intentions not to go back. Yes, Allah can and will accept your sincere repentance each and every single time you make it even if it be one zillion times. Just do it, and mean it and be sincere, strong and perseverant. So, if you’ve committed a sin, then go make wudoo, pray two rak’aas, make istighfar, read your adhkar, read a few pages of the Qur’an, help your parents, call family members, relieve someone from their distress, give sadaqah, help someone in need, there are countless opportunities. So bring it! Suffocate the sin with good deeds and do not let it suffocate you. Surround it from every direction with as many good deeds as you can. Just kill it! Again, you are in control, so control the sin and do not let it control you or define you or steal your life from you. Now, one last point, if the sin involves transgressing against someone else, then you have to bring them their right back and/or seek their forgiveness. For example, stealing necessitates returning what you’ve stolen or the equivalent of it to its owners. If you’ve spoken badly/unjustly against someone, then rectify what you said and seek forgiveness. If someone else is involved, then we need to rectify matters with them. It doesn’t make sense to slander someone for example, and follow the steps above without actually fixing the damage you’ve caused to others. Allah forgives us, but what about the other people we’ve damaged? Allah is neither Unjust nor accepts injustice. It is healing and part of our spiritual journey and getting closer to Allah(swt) to also mend the injustice we cause others. Islam essentially is about fixing yourself for your own inner peace, for Allah and for the people so that you neither harm nor reciprocate harm. So, simply go and seek forgiveness if you’ve wronged anyone. And if Allah accepts our repentance, then who are we not to forgive others? Now you have a fresh start, insha’Allah. It doesn’t matter if you repeated this process incalculable number of times. The doors are always open for you. So long as you’re still breathing, then keep repenting. Never let Shaitan use the sin to ruin your relationship with Allah or stand between you and Him. Allah named Himself that Oft-Forgiving, The Hider of Faults, The Acceptor of Repentance… for us!